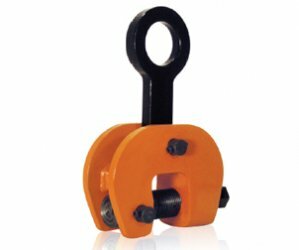 The Model SCP clamp is capable of handling steel plate from horizontal to vertical to horizontal through a 180 degree arc and may be used for handling plate a trolling and forming machines. 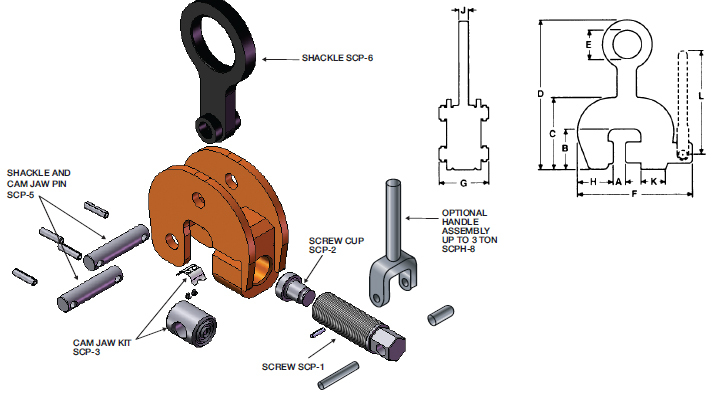 These clamps feature a spring loaded pivoting cam jaw that "cams in" when a load is applied to the lifting shackle. Clamp is capable of handling plate horizontally when used in pairs or sets of pairs, or in a tripod arrangement.